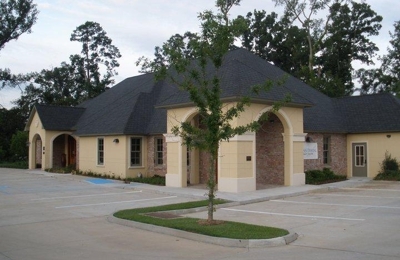 Juban Cowen Dental Care has not yet specified accepted insurance plans. Keller James C. Jr. D.D.S. Less than 10 minute wait before we were seen for our appointments. Free Keurig coffee and cold water are available in the waiting area. All staff from reception through checkout are courteous, professional, and compassionate. Lots of friendly smiles ready to help upkeep your smile. Very considerate of my history and fear of dentists/dental work. Zoom whitening with groupon. Very professional and everyone was very sweet. Great results from zoom! They made sure I knew what to expect pre/post procedure before starting. Will definitely go back! A+. Wouldn't go anywhere else! Personable and thorough. Hygienists are the best and Dr. Juban is great. In my thirty-five years living in Baton Rouge, I was fortunate to find Dr. Juban. He is kind, patient, and honest. Had I not seen Dr. Juban, I feel I would have not been able to save my four front teeth. If you have not made an appointment to see him, please do so. You will get excellent advice, be referred to other oral specialists needed to complete your course of treatment. Thanks to Dr. Juban and all of his staff for going out of their way, making sure my past fear of dental appointments, will definitely be just that. Sincerely, Terry C.
I had a wonderful visit. Jen was very quick and gentle. Everyone from the front desk to the back was very professional and helpful. Heather was awesome, and she made the whole process a pleasure to have done. I will definitely recommend Juban Dental. The entire office staff and Dr. Juban were very friendly. Thanks to everyone there! I had a very professional hygenist and she was very thorough. I experienced no pain and was handled with kitt gloves. My experience was great! Dr. Juban is thorough as well, and has a great chair side manner! Dr. Juban and his staff are always so friendly and nice. The cleanings are easy for those afraid of the dentist; they talk you through what they are doing. I'd definitely recommend them. The staff at Dr. Juban's office is AMAZING!!! Everyone on the staff is extremely friendly, and they all greet their patients with a smile. Dr. Juban's office erases the "fear of the dentist." Dr. Juban is extremely knowledgeable. I have been extremely satisfied after every visit. I love going to the dentist!!!!!! Awesome experience. Very comprehensive exam with lots of instruction and feedback... Actually enjoy visiting the dentist... Crazy right? 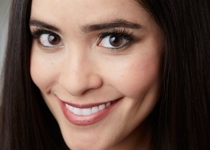 Kayla very sweet and gentle with excellent tips for improving dental health. Feeling great after my cleaning! Kristin and and Dr. Juban are awesome and I love the rest of the staff. Everyone is wonderful and friendly. I love everything about this place. The staff is very friendly and very professional. Wait times are minimal and they are always there if you need them! I was so relaxed I actually fell asleep! What a wonderful experience. I actually look forward to going to the dentist. As always, great experience. I became a patient of Dr. Juban through unfortunate circumstances, but I couldn't have asked for a better switch. Kristen's explanation of the process is so helpful and makes my time here so much more enjoyable. Highly recommend for all your dental needs (especially if you prefer your dentist using the latest technology and the cleanest facility I ever seen). 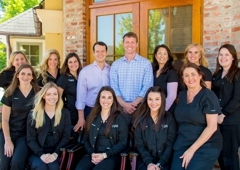 Dr. Juban and his staff are wonderful! They are always very kind and professional. I know I am getting the best dental care possible when visit Juban Dental Care. I love their updated office as well!